Published: 2015-11-11 | Category: [»] Engineering. So you are considering buying a Makerbot Replicator 3D printer to help you in your engineering work? Well… maybe it’s not such a good idea. I will tell you why here. Before we start I would like to stress that I am not advocating against 3D printing in general but only sharing my experience with Makerbot Replicator printers. 3D printing is a great technology and can achieve marvellous things but there are many various printers on the market working on different principles. Many engineering companies uses 3D printing extensively, but most of them are actually using the [∞] selective laser sintering (SLS) technology which is quite different from the filament extruding technique used by Makerbot and competitors (known as [∞] fused deposition modelling). Also, I would like to focus here on engineering models which bring some more complex issues compared to household or creative 3D printing. For example, can you make a valve with a 3D printer? How do you accurately assemble models together? Can you use 3D printing to replace expensive laboratory parts such as opto-mechanical devices? It is for these precise reasons that I bought a 3D printer and I was quite enthusiast at that time (I pre-ordered my Makerbot Replicator Mini months before its release and was one of the very first to receive it). So if you are thinking about buying a Makerbot Replicator 3D printer for engineering purposes, please read this carefully before settling your choice. One of the most disappointing things about the Makerbot Replicator 5th generation is their so-called smart extruder. The extruder is the part of the FDM printer that actually takes the filament, pushes it into an heating chamber before letting it go through the extruder nozzle which create the very thin filament used for printing. Because fused deposition modelling involves melting a polymer and extruding it through a very small orifice, it will clog after some time. And when it does, you basically have to do some maintenance on your printer. The very problem with the Makerbot smart extruder is that it was not designed for maintenance but rather for easy replacement. And wonder what? A new smart extruder will cost you 175 EUR plus the shipping cost which is a total of 195 EUR in my case. Obviously, Makerbot will not tell you that when you are buying the printer – they leave you the surprise for later. Many people found that this is a deceitful technique and [∞] some of them even intended a class action against Makerbot. And when your extruder will clog for the first time, you will discover a whole new world of troubles when searching on the Internet. A lot of people are complaining about how frequent their smart extruder clogs. [∞] One of them claims that he had to replace his extruder 5 times in a few months. [∞] HackADay reports extruder lifetimes claimed to be between 200 hours and 500 hours (this was also reported by a guy on a forum who claimed to have an e-mail from the tech support giving the same numbers – unfortunately I cannot find the forum anymore to copy the link here). In my experience, it is much less than that and was about only 100 hours of working. Sad but true. I would also like to comment here that this is only an average based on personal experience and that it is not a guarantee that your smart extruder will last for at least 100 hours. For instance, I have bought a replacement extruder from Makerbot which clogged after printing only 10 grams of PLA! Hopefully, Makerbot accepted to exchange the extruder for a new one due to EU warranty. To give you an order of magnitude, my models are relatively small and take from 2 to 4 hours to print so that makes only 25 to 50 small 3D parts per extruder. Yes, you read it correct: only 25 to 50 models and you have to replace your extruder for a little bit less than 200 EUR. Considering that I paid my Replicator Mini about 1,000 EUR (thanks to the EUR/USD pair at that time), that makes a lot of money spent on extruders. At the moment, it is even worse since the Makerbot Replicator Mini is sold 1,600 EUR in Europe. Recently, [∞] a guy posted a video on how to do maintenance on your smart extruder to unclog it. It involves disassembling the smart extruder nozzle when it is heating at 215°C but well, I decided to give it a try. All you need is spare MK8 extruder nozzle that Makerbot sells you 33 EUR for two items. Hopefully, you can find similar extruder at 3 EUR on e-bay and they really look the same. So I tried the whole procedure which worked fine at first and I managed to print one model. But when I tried to print a second one, the extruder clogged again. So I tried the cleaning procedure one more time but the extruder now clogged in the middle of the printing. As a consequence, I would not be so confident about the smart extruder clogging issues having a definitive solution. Fitting is, in my experience, the most frequent cause of having to discard correctly printed models. When designing your part, you specify some width and height for the features of your model that are relatively precise. For example, you may want to add a hole for a φ3 mm pin. To do this, you usually specify on your drawing some tolerance for the hole such as “3H7” meaning that the hole should be between 3.00 mm and 3.01 mm. When working in a mechanical shop, this is usually machined using a reamer which will ensure, when properly used, that the hole will satisfy the tolerance. So, when inserting, say, a 3h7 pin whose diameter is toleranced between 2.99 and 3.00 mm, you know that the two parts will fit without problem. This will always be the case, even if your part is produced in the USA, China or in Japan by different operators. But things do not work like that when printing 3D parts. When printing, you first produce a 3D model (usually a stereolithography .stl file) which is then transformed by a program inside the 3D printer logic into movement instructions for the extruder head. With Makerbot, this transformation occurs in the Makerbot Desktop program. The problem is that Makerbot Desktop does not, at the moment of this writing, take into account any analysis of the shape of the elements to ensure fitting and tolerances. So if you produce a model with a φ3 mm hole, the printer will actually describe a φ3 mm circle and extrude filament at that place. And because the filament has some thickness, your hole will actually be smaller than φ3 mm. The question is by how much? And there is no simple answer to that. Depending on the resolution of the printer (60 µm, 100 µm, 200 µm, 400 µm…), your hole will not be of the same size. Depending on the software which transformed your design file into machine instructions, your hole will not be of the same size. And even worse, I have experienced that different version of the Makerbot Desktop software will not print models the same way! The consequence is that you have to include some knowledge of how your printer actually does its job when designing your parts. To do this, I have created a [∞] calibration file which is a disk with three rows of holes of φ3.00, φ3.05, φ3.10, φ3.15, φ3.20, φ3.25 and φ3.30 mm. At occasions, such as when updating the Makerbot Desktop software, I print the calibration file and try to fit some 3h7 pins into the holes. That way, I know by how much I have to increase the size of the features in my design. Currently, it is of 200 µm with the printer resolution set to 200 µm (nb: the Makerbot Replicator Mini is restricted by software to 200 µm at best – probably not to concurrence the more expensive models that goes down to 100 µm with the same extruder). The final consequence is that you cannot exchange 3D models that easily with other people. Depending on the printer, your features may show too much clearance or too much interference. This is why I always recommend printing the models on this website with a 200 µm resolution; hoping that this will reduce the risk of bad fitting when printed with other hardware and software. Obviously, what is true for holes is also true for any kind of feature. I had to print my cuvette holder 5 times before getting it right! And it gets really frustrating when you try to print older models which used to work and now do not fit the same way anymore. 3D printers have limited resolution which is always mentioned as the thinnest layer they can achieve. This can be 60 µm for really good 3D prints, 100 µm for standard high resolution prints or 200 µm if you have the Makerbot Replicator Mini. By the way, and since the Replicator Mini uses the same extruders and the same technology than the more expensive versions of Makerbot’s 3D printer, I am pretty sure that this is only a software restriction and not an hardware limitation. 200 µm is not an extremely thin resolution as with the proper tools you can machine features down to 10 µm in a mechanical shop. Also, I have noticed some odd things with the quality of larger models. For example, check these two gears below. They have the same tooth size (2 mm) but different diameter. Notice the details in the tooth for the larger model. My advice is then to avoid very large models and to keep the details on the order of the millimetre. DO NOT try to make very small details like small threading for fasteners and such. If you need thinner details, use a mix of 3D printing and hardware parts (bolts, nuts…) glued on the model. Models printed with the FDM technology will present a rough surface finish. In the past, with ABS, it was possible to post-process the models with acetone to actually dissolve the plastic to make it flat and shiny. With PLA, this is not possible anymore. And the problem is that Makerbot smart extruders only accept PLA while other printers, such as the Ultimaker, still accept both PLA and ABS. 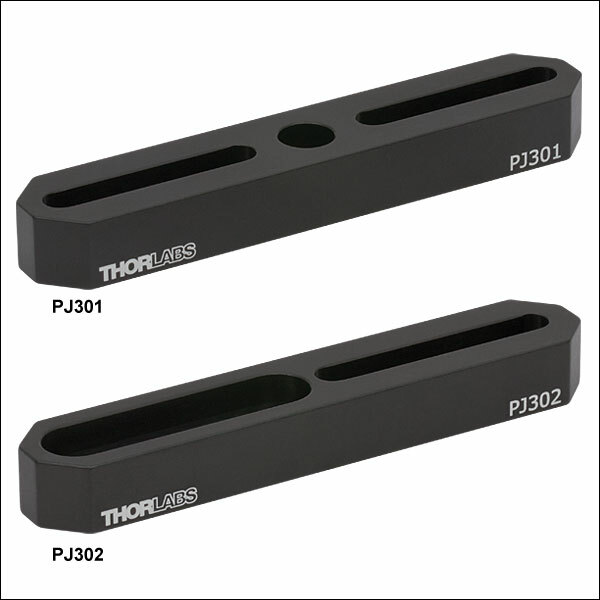 Surface roughness can be important for engineering parts that slide on each other or that may accept mechanical sliding parts such as guide rods. I have spent numerous trials at filing models to get a better finish but without success. During some time, I used heat the model with a lighter to melt the PLA and remove small filament hairs coming out of the model. However, this caused much problem such as complete melting (or even burning!) of the model and retraction. I do not recommend it anymore. On their [∞] blog, Makerbot suggests putting epoxy resin on the part to fill in the asperities and to later clean the excess epoxy resin with sand paper. I would not recommend this approach because it may increase the size of the model which might be a problem in engineering and is also not applicable for inner features such as holes for guide tubes. When you print a file, the design you sent to the software is first transformed into extruder movements operations, the g-code. With Makerbot, this occurs in the Makerbot Desktop software. The problem is that we have very little control on constraints applied to the algorithm. The black lines represent the movement of the extruder head. You can see on the picture that the extruder head passes several times inside the holes. As a consequence, you will have some filament in your calibrated holes which is quite difficult to remove without damaging the actual (and precise) dimensions of our features. In the case of the calibration model, this results in slightly obtruded holes that will not accept the pin. And this is the price you have to pay with all-in-one commercial solutions like the Makerbot Replicator: they act as blackboxes and you cannot prevent, at least for the moment, the software from putting filament inside delicate features such as our calibration holes. Because the models are made of plastic and may have an hollow structure due to the infill ratio, they do not have the stiffness or strength of metal parts. Also, by the very inherent process of deposition modelling, the parts are very brittle in their axial dimension and you can break them very easily. I broke a few parts that were designed to be screwed into each other using large threads. About half of the models that I printed where designed to replace Thorlabs opto-mechanical components but due to the very low rigidity of the plastic, they never performed well at all and caught a lot of vibration. Even a small support designed to replace [∞] Thorlabs PJ301/M part made my interferometer completely blind due to the ambient vibrations which were amplified by the plastic piece. The same was also true for microscopy application. One of the very first model that I printed was an [»] electro-valve made of an hollow tube with a coil around it to drive a magnet inside the tube such that it obtrudes (or not) an air path. Almost immediately, I realized that the parts where absolutely not airtight and there was a lot of leakage inside the main body. I was able to fix this with tons of silicon and Teflon but still, I was not able to get more than 50 mbar pressure which is quite low. Later, I printed a [»] turbine-like stir bar for an homemade magnetic stirrer. The problem was that, because of the PLA density and the infill ratio (10% by default), the stir bar first floated on top of the liquid. I had to pour the solution after placing the stir bar and every time the stir bar lost the magnetic coupling, it went back on top of the solution. This is not too much of a problem as you can increase the infill ratio to have a bulk density close to 1.25 (maximum density of PLA). The real problem was that, after a while, the model started soaking in water. And this is much more problematic if you are using the stir bar for sensitive application such as stirring solution of yeasts because you would have to discard in a properly sealed container the stir bar immediately after usage. The conclusion to these two experiments is that the models printed by the Makerbot Replicator (or any other FDM technique) are not airtight nor watertight and if you are planning to do so, you will have to use SLS printing technology with a post-processing such as a sealant. Never drill into PLA models! One of the biggest errors that you can make with a successfully printed 3D model is to try to drill holes into it or to rectify it with any conventional machining techniques. I once tried to enlarge a hole (due to a tolerance mistake) with a drill bit. This was an horrible mistake as the PLA melted almost instantaneously with the friction of the tool! The part was ruined and I had to spent hours to clean my drill bit. The only solution I found was to actually burn the PLA to remove it. So never, never, try drilling into a PLA model! If you need to add fasteners, do not use a tap but rather create an hexagonal hole in your model to support a nut and fix it with a small point of epoxy glue (see image below). On the contrary, if you rely on SLS printing, you can drill/tap any hole very easily. Still, if you want to fasten anything into your SLS printed model, you should use metal inserts in the tapped hole to prevent destroy it, even with very light torque. Price of printed models is usually the largest misunderstanding about 3D printing. Let me tell you this: 3D printing is not cheap, it is in fact pretty expensive. When I bought my Makerbot Replicator Mini I was thinking that I would only have to buy filament which is relatively inexpensive when you consider the low infill ratio of printed models. However, because of the smart extruder clogging issue, I did not realize that I had to take the price of the extruder into account. Let us do some math. I will consider here a box model of 4 cm sides which is pretty the average for the models I print here. Makerbot Desktop predicts that my box model will weight 19.43 grams. In practice, we should add some weight because of the rafts and support but let’s say this compensate the fact that there are some holes and hollow features in the model. One small spool of 200 grams PLA “true black” is 22.90 EUR at the Makerbot Store currently. So it is 2.22 EUR of filament for that model. But because the smart extruder will wear out, we also have to consider a fraction of the price of a new extruder when we print a model. In my experience, the extruder wears out after 500 g (which is about two spool of filament only!). At 195 EUR (shipping cost included because it does not ship for free and I did not consider the shipping cost for the PLA yet), it adds 7.58 EUR to our cube model which is now worth 9.80 EUR. Even if you are lucky and get the lifetime claimed by Makerbot, this will still cost you at least 6 EUR per piece. And this is far from being inexpensive! 3D Printing will actually cost you a lot per model. To get some comparison, machining a part from aluminium using a mill or a lathe will roughly cost you 0.50 EUR for the same model. Of course, not all models can be easily made with conventional machining techniques but I would like to point out that numerouswebsite allows you to order SLS printed models. A 4 cm cube will cost you 12.75 EUR at [∞] Materialize in polyamide with standard finish and 15.75 EUR with polished finish. They also offer a lot of choice including gold, copper, brass, resin, ceramics, ABS, alumide, steal, wood… At the basic 12.75 EUR solution, this makes a +2.95 EUR difference with our homemade model. Considering the price of a Makerbot Replicator Mini (currently 1,600 EUR at the Makerbot Store), you will have to print our cube model 542 times to start saving money! And if you are the lucky owner of a Makerbot Z18, this goes up to more than 2,600 prints. Even if you print one model a day, that is still almost 7 years of daily printing and I seriously doubt that you will be able to operate your printer every day for 7 years without having any issue with it and maintenance to do. Also, do not forget that SLS models are far superior than FDM models. My point here is: consider your own, particular, engineering profile before you buy a 3D printer. Do you intend to print models daily or do you need only a few models per months? If you are in the first category, then buying the printer is probably a good option. However, if you need only a few models or if you need better quality, it would be wiser to order them online from an SLS printing company. Among the common source of failures are retraction of the model (see below), wrong fits due to the tolerance of the elements, extruder nozzle catching your model and scrapping your whole model, extruder clogging… In my experience, I had to discard between 25% and 50% of my prints. It is difficult to tell because I did not start collecting wasted prints since the beginning and the picture above only represents waste from about two small spools of filaments. Sometimes you can live with it, sometimes you just have to dump the part. Solution to this problem are heating the base plate, applying a layer of ABS through a ABS/acetone mix on the base plate when printing with ABS etc. None of these methods are available with the Makerbot Replicator Mini so you will have to live with it and replace the adhesive paper on the base plate often to keep a good adherence of the support. The price is not that big, but you have to remember to do it often to prevent model losses. As a conclusion, I would not recommend using a Makerbot Replicator for printing engineering parts as the prints get really expensive due to the clogging issues of the smart extruder and that it can only handle PLA which is difficult to finish or rectify. More generally, I would not recommend FDM printing in general as it is not suitable for a lot of scientific disciplines such as optics or fluids transfers (including air). Instead, I would advise to look up into SLS printing technologies and online ordering as it is, in the end, much cheaper than buying your own 3D printer if you do not have a daily usage of 3D printing and it also produces much better models. Once again, this is only a personal appreciation based on my own experience with the Makerbot Replicator Mini and I am only giving here recommendations. That being said, I am not going to trash my Replicator Mini nor sell it. I will continue experimenting with it and see if I can find some good applications that will take benefits of the advantages of FDM printing (complex models that would be difficult to make with a lathe or a mill). I will also continue prototyping models for this website and see if they perform correctly when processed with commercial SLS techniques.